MaryEllen Odell is currently serving her second term as Putnam County Executive. Through her five years on the Putnam County Legislature and the past six years as County Executive, she has challenged the status quo while focusing on balancing her fiscal and social responsibilities to the people of Putnam County. Being solution-oriented, MaryEllen makes things possible. Putnam County has the lowest tax bill of any of the 62 counties in New York State, while maintaining its Aa2 Moody’s Bond Rating. She has successfully been able to do this while keeping all six of her administration’s budgets under the NYS 2% tax cap, reducing the county’s long-term debt by 15% and eliminating the short-term debt that her administration inherited. MaryEllen has made the county fiscally strong while maintaining the highest quality of mandated and non-mandated services to the residents through the consolidation of county departments, the sharing of services between local governments and enacting public-private partnerships. She has also made infrastructure investment a priority to support economic growth, which relieves the financial burden of the taxpayers. Additionally, as President of the NYS Association of County Executives, MaryEllen’s leadership and governance perspective are valued throughout the state. 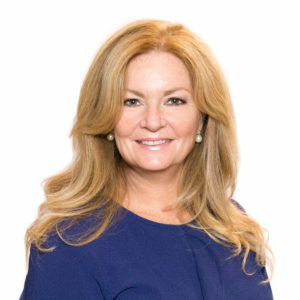 She is also serving a second term as Co-Chair of the New York Metropolitan Transportation Council (NYMTC), where Putnam County has a voice with state and federal representatives in determining where federal transportation funding is allocated. To conquer the opioid epidemic, MaryEllen directed Putnam County to sue Big Pharma. The suit holds the pharmaceutical opioid manufacturers and distributors accountable for the fraudulent and negligent practices they engaged in, which caused immeasurable harm to families and taxpayers. She continues to lead the One Army in the War Against Addiction to battle the opioid epidemic through a multi-front offensive—education, awareness, law enforcement as well as through the lawsuit. MaryEllen continues to fight for the right to protect our citizens from an unwarranted invasion of their safety and personal privacy. In 2013, she supported the County Clerk’s refusal to comply with a Freedom of Information Law (FOIL) request issued by The Journal News last month that would have released the names and addresses of all the gun owners in Putnam County. Their action inspired the NYS opt-out form for pistol permit holders. Understanding that the senior citizen population is growing at a faster rate in Putnam County than anywhere else in New York State, MaryEllen’s administration is helping seniors live independently longer. They are in the process of rehabilitating the Carmel Friendship Center on the Donald B. Smith Campus and the construction of the new Cold Spring Senior Center is underway. In addition, MaryEllen has created fellowship outings, so the seniors of the different centers can come together and enjoy one another. The administration also provides transportation for shopping trips and medical appointments, which allow the seniors further mobility. Committed to Veterans and First Responders—career and volunteer, MaryEllen believes in protecting and honoring those who put their lives on the line for the safety of others. MaryEllen initiated the Row of Honor display of flags on the shores of Lake Gleneida to recognize our Veterans and their families and to honor our Nation’s flag. She is proud to work alongside the Putnam County 9/11 Memorial Committee, as County Executive, for the heroes’ memorial at Spain Cornerstone Park as well. MaryEllen supports the FDNY 343 Riders who honor and remember the 343 members of the FDNY who perished in the World Trade Center on Sept 11th, 2001 and raise funds to help support severely injured veterans who have served in the Armed Forces. MaryEllen was named an Honorary Veteran by the Putnam County Joint Veterans Council in 2007, for her patriotism and advocacy for Veterans services. Before his death in July 2016, James O’Neill named MaryEllen an honorary member of the Knights of Columbus Our Lady of the Lakes Council 6318, to which she was greatly honored. To help those who have served our country get the services they need to adjust to nonmilitary life, MaryEllen has enhanced the Veterans Service Agency. It now has a full-time director and two NYS-certified service officers to assist more veterans receive the help they need. She has partnered with the Mental Health Association of Putnam County on the PFC. Joseph Dwyer Vet2Vet peer support program. In 1995, MaryEllen co-founded the Carmel Sports Association. She also became an active member of the Hamlet of Carmel Civic Association, the Carmel Industrial Development Agency and Putnam Economic Development Council. MaryEllen sat on the Executive Board for the Gold Star Mothers statue in Putnam County Veterans Memorial Park as well. She is also a member of the Fraternal Order of Police Stephen P. Driscoll Memorial Lodge #704. MaryEllen has lived in Putnam County for more than 50 years. She grew up here and she raised her children here. She is working hard to move Putnam County in a positive direction so it continues to be a great place to live, work and play for generations to come.